Grab a group of friends and join us for Ladies Night! 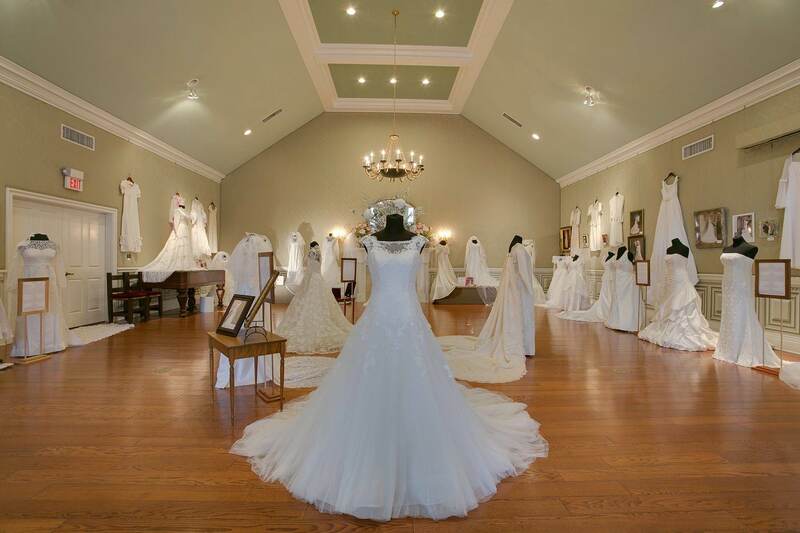 Spend time walking through the vintage dresses and visit exhibit sponsor, Karen Whitaker with Ruby Ribbon on February 22, 2019, from 6:00-8:00 p.m.. Tickets are $10 per person and can be pre-purchased at www.oaklandsmansion.org. Karen Whitaker, a stylist for Ruby Ribbon, will showcase innovative products that seamlessly combine fit, function and fashion. The spring collection includes everything from tops, tunics, hoodies and tanks to leggings, intimates, and shapewear. Ladies Night on February 22nd in the exhibit is open from 6:00 p.m.-8:00 p.m. and is a come-and-go event. Tickets include admission to the wedding dress exhibit, a showcase of Ruby Ribbon comfort clothing for women, and more. The Wedding Dresses Through the Decades Exhibit is sponsored in part by the Human Sciences Department of Middle Tennessee State University, Chelsea Place Apartments and Karen Whitaker with Ruby Ribbon. Tickets can be purchased online at oaklandsmansion.org. For more information, contact Mary Beth Nevills at Oaklands (615) 893-0022 or email mb@oaklandsmansion.org.